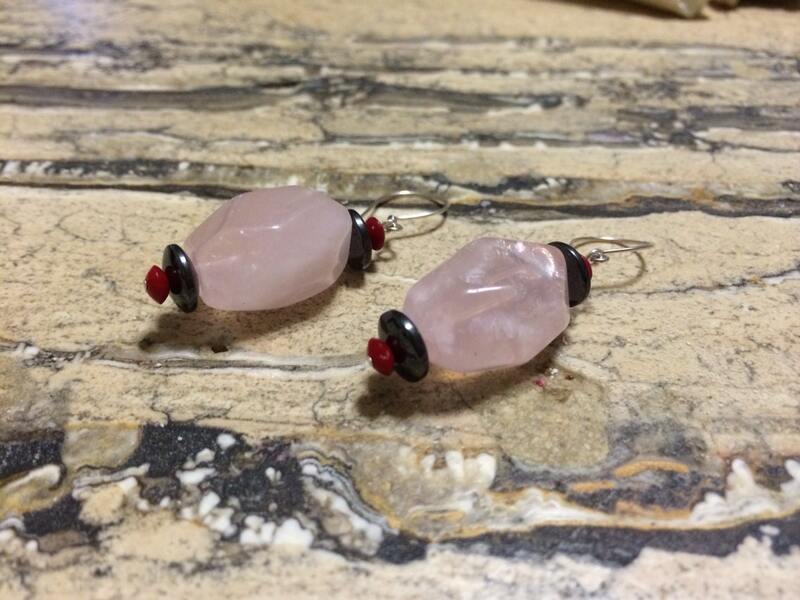 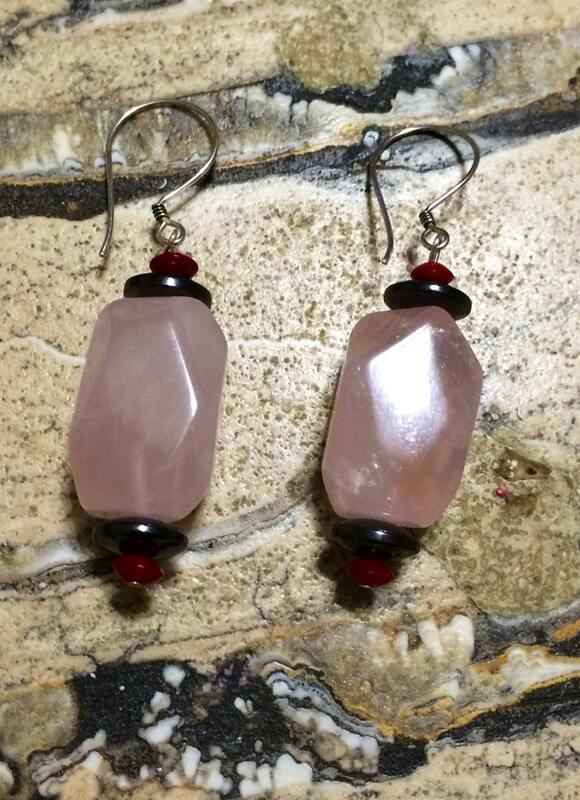 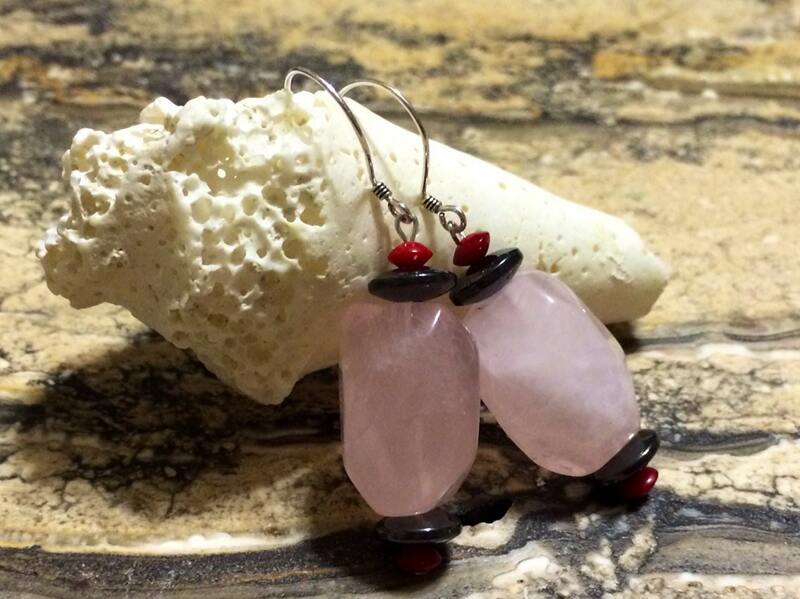 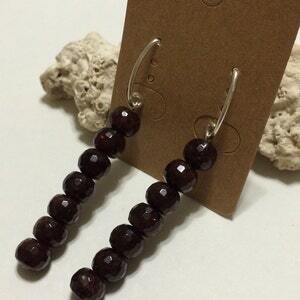 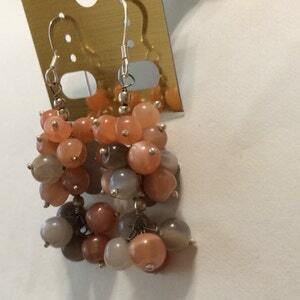 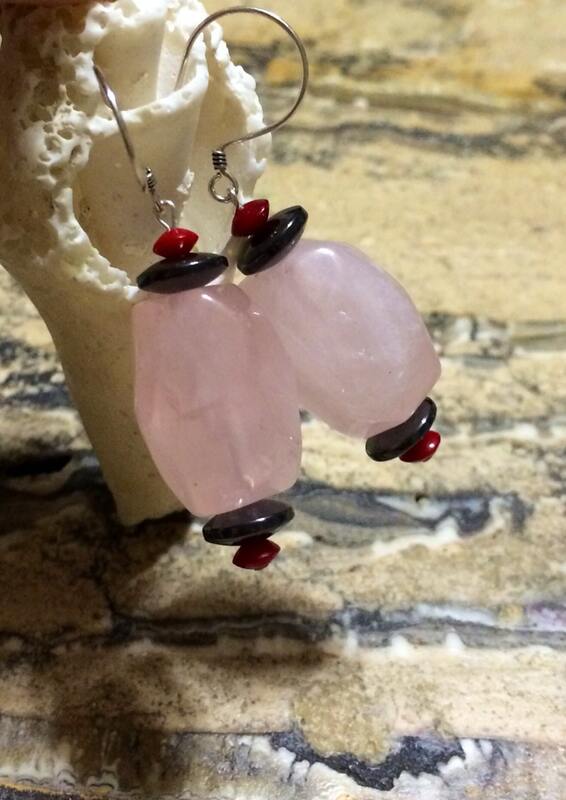 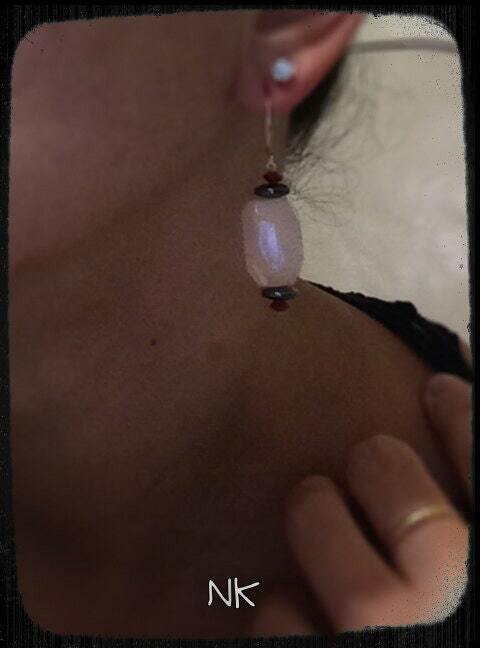 Rose Quartz,Red coral and Hematite sterling earrings. 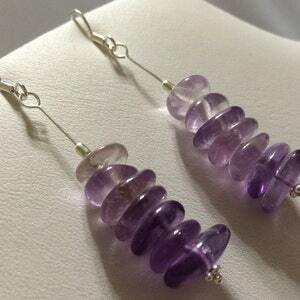 Sterling Silver 7 Shades of Amethyst Long drop Earrings. 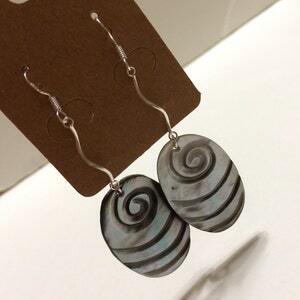 Sterling Silver Carved Shell Long drop Earrings.